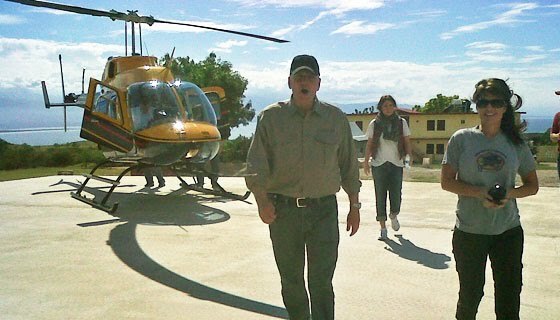 Earlier today, Samaritan’s Purse announced that Governor Palin, Greta Van Susteren, and Franklin Graham had arrived in Haiti on a humanitarian mission. 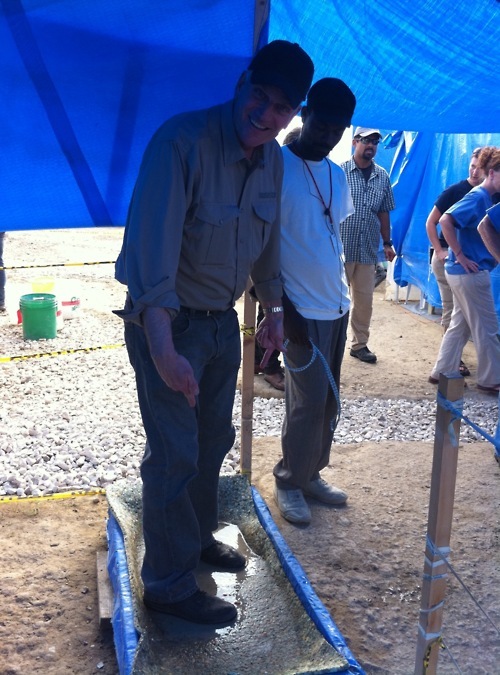 Samaritan’s Purse President Franklin Graham returned to Haiti today to survey our work with cholera patients, hand deliver Operation Christmas Child shoe box gifts to hurting children, and meet with staff. Former Alaska Gov. 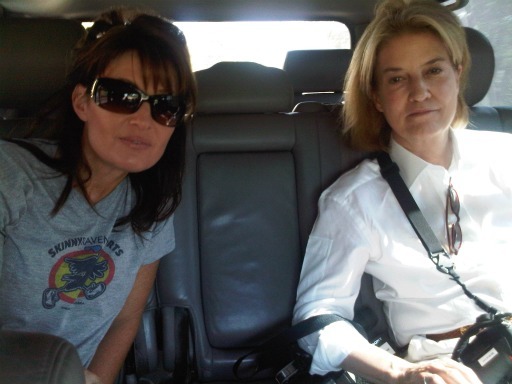 Sarah Palin and Greta Van Susteren of Fox News are accompanying Graham on the trip. After arriving, the group toured a shelter community where Samaritan’s Purse has built temporary houses for people who lost everything in the earthquake. Later in the day, the organization announced that Bristol and Graham’s daughter Cissie had joined their parents in Haiti. 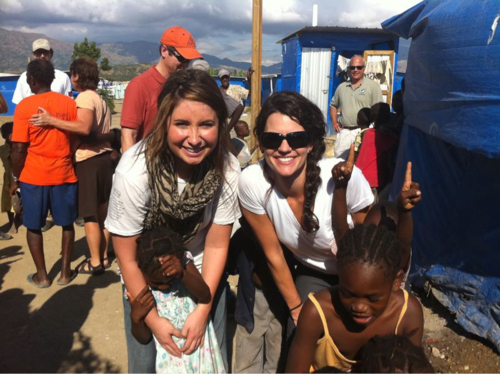 Cissie Graham Lynch and Bristol Palin are joining their parents this weekend to draw attention to the plight of the Haitian people and to highlight the work that Samaritan’s Purse is doing to combat the cholera outbreak and help earthquake victims. Cissie is the daughter of Frankin Graham and wife of Corey Lynch, a defensive back with the NFL’s Tampa Bay Buccaneers. Bristol is the daughter of former Alaska Gov. Sarah Palin. She competed in the fall 2010 season of Dancing with the Stars, reaching the finals and finishing in third place. 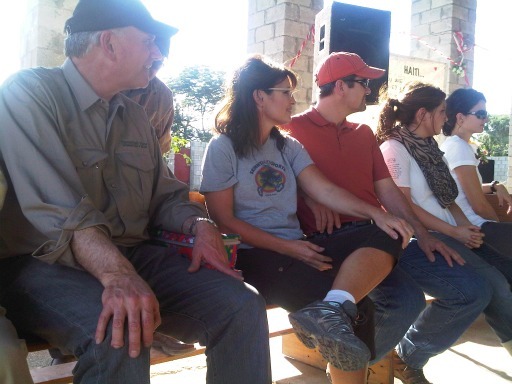 Here’s a few pictures from my trip to Haiti with Rev. Franklin Graham…we’re here to give out gifts to children through Samaritan’s Purse Operation Christmas Child. 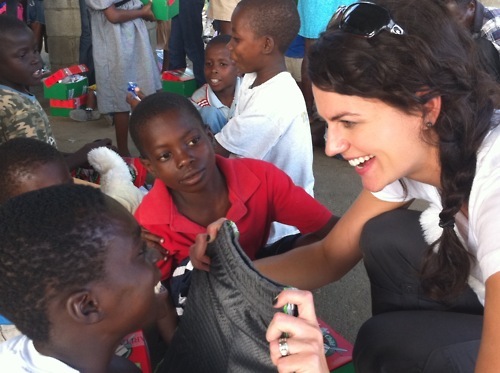 Cissie is also tweeting some photos from Haiti. Samaritan’s Purse is also tweeting updates. Who Needs Domestic Oil Production? We Can Get All We Need From OPEC! Alternate headline: Why We Need President Sarah Palin STAT! Actually the article below was tweeted by Sarah, so she’s already all over it. Seems as the geniuses in the Obama regime aren’t concerned that they have all but stopped domestic oil production. It’s all good, because we can just send ALL of our oil purchasing dollars to OPEC, including nations that curse our very existence. I mean how else will these nations fund terror against us and our allies? 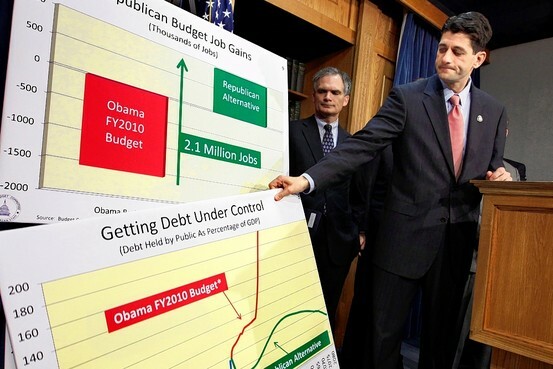 When speaking of his tax “compromise” Barack Obama had the gall to refer to Republicans as “hostage takers” and included all of the images to go along with his crass statement. I wonder if he can comprehend the irony here? Barack Obama is willfully, even gleefully, making the United States hostage to OPEC. You couldn’t make up a story this fantastic up if you tried. One of the sad truths about the Obama administration is the indifference they have for producing energy domestically. Here IER refers us to Page 69 of the Interim-Final Drilling Safety Rules. One should read the entire report. These people understand it will harm American companies, many small businesses, and consumers. Evidently they do not care. b. Will not cause a major increase in costs or prices for consumers, individual industries, Federal, State, or local government agencies, or geographic regions. The impact on domestic deepwater hydrocarbon production as a result of these regulations is expected to be negative, but the size of the impact is not expected to materially impact the world oil markets. The deepwater GOM is an oil province and the domestic crude oil prices are set by the world oil markets. Currently there is sufficient spare capacity in OPEC to offset a decrease in GOM deepwater production that could occur as a result of this rule. Therefore, the increase in the price of hydrocarbon products to consumers from the increased cost to drill and operate on the OCS is expected to be minimal. Sadly, our Lords and Masters in the Obama regime fail to define “minimal” as in the increased cost of gasoline and other petroleum products is “expected to be minimal”! The IER finishes with a statement we wholeheartedly agree with. It’s a sad state of affairs when our government halts domestic oil production and tells us to just buy oil from OPEC. Will the Obama administration ever get serious about creating jobs in America? If you are not outrageously outraged at this point, you may want to see a doctor to make sure you are, indeed, still alive! It doesn’t take an Ivy League education to understand what the Obama regime is doing is insane. It’s national suicide. We already send somewhere between $700 billion and $1 trillion out of the country every single year to purchase much needed oil. This will, of course, increase dramatically. Despite what the radical leftists will tell you, oil is the lifeblood of our economy. The lifeblood of our Freedom, and the lifeblood of democracy. It’s an essential commodity. We don’t have to be held hostage by foreign nations, many of them who hate us to their very core, nor do we have to be held hostage to radical environmentalists, whose rhetoric is being proven wrong on a daily basis. We have the ability to safely extract oil and natural gas, with minimal environmental impact. One of the first things that excited us about Governor Sarah Palin, years ago, was her proactive approach to energy production and environmental safety. She went so far as to create an integrity commission to hold Big Oil’s feet to the fire on safety, and production. She also understands that energy is not just an economic situation, but one of national security. No one seems to understand this better than Sarah. This is an attention getter, to say the least! So here is the United States sitting on reserves three times the size of all of the OPEC countries combined. And yet, we’re going to send our trillions of dollars to OPEC, and other producers, rather than use our own? This does even count coal, which reports say we have over 200 years worth of, and doesn’t mention nuclear. With nuclear our resources would be almost unlimited. Nuclear power is the one thing that disappoints me as much or more than anything that is part of America’s insane and suicidal energy policy, a policy that has been in place for decades. France gets over 70% of it’s electricity from nuclear powered facilities. FRANCE. Are you telling me the United States, the nation that basically created the concept of nuclear power, can’t do better than France? Our Navy has a great fleet of nuclear powered submarines and surface ships. These ships are battle hardened and proven safe. Why Americans can’t wrap themselves around this efficient source of energy is a real mystery and tragedy. As I look forward, past the Obama fiasco, and on to 2013, I envision an effort similar to JFK’s vision of sending a man to the moon in a decade. It will take that sort of herculean effort, to do what needs to be done, to get us to real energy independence. Thankfully America is well positioned to do this. When Kennedy had his wonderful vision of exploration and knowledge, we barely had a rocket that could get off the ground safely. They were more likely to blow up in spectacular fashion than actually get off the ground. NASA scientists had to create everything from scratch and at a breakneck pace. It was an effort like no other. With energy, we have well proven science and production methods. We know HOW to do this and have everything we NEED to do it. We don’t have to invent systems and experiment with them. It’s all proven and time tested. We have everything we need to become totally and completely energy independent by the end of this decade. The one thing we are lacking as a nation is the collective will to do it. We need strong leaders to help America understand that we simply must summon up the will to get this done. Becoming energy independent will create jobs, well paying, durable jobs. Since trillions of dollars won’t be leaving our shores it will supercharge our economy and help lower our budget deficits, even eliminate them. As a bonus, we’ll no longer find ourselves beholden to anyone for one of the most essential elements of our economy, our Liberty, and our Freedom. We will indeed be in charge of our own destiny. We’ll also no longer fund terrorist nations who then use our own dollars to attack us and our allies. In short this would be a world wide game changer. We know of only one leader in this country who can make this vision for America come true. 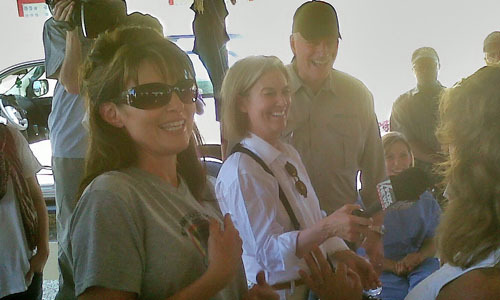 One leader who has the guts and the backbone to get it done, and that’s Sarah Palin. We need her and we need her STAT! We need you as Chairman of the RNC. You have shown in the past no hesitation to take on the establishment. You did it in Alaska. If we end up with establishment control of the GOP and their support for an establishment candidate in 2012, Obama and the socialists will have won. I always find myself tickled at these often sincere but misguided attempts to find Sarah a job. I say often sincere, because may of these suggestions are thrown out there by folks who would rather she do something else than run for President, because they have a dog in the race themselves, and know with Sarah in the mix, that dog of theirs just won’t hunt. It’s like those who were pushing her to run for the Senate to get “seasoned” and “learn how things work.” Yeah, because a 20 year veteran of politics, most of it at the Chief Executive level doesn’t know how things work, and isn’t “seasoned” enough. Of course, these same people will always fawn over the latest flavor of the month, lustily pining for a newly elected candidate who has never served a day in office, hailing them as the next President. This makes me think their motives for having Sarah take some other job to “get seasoned” may not be all that sincere. With that said, what I have is indeed a sincere proposition, and a win-win all around. First, let me say this. As much as I loath the GOP establishment, the job of RNC Chairman is a job for an insider. An establishment Republican will do well in this position. It also takes someone who is not a high profile Republican, someone who is good at being not seen. Someone who will work hard, but not be a big attention getter. I like Michael Steele, and would support his re-election. The problem Steele has is the same problem Sarah would have. Steele is not an establishment guy. He’s Tea Party friendly, and of course, that rubs the establishment the wrong way. The fact that he and Sarah are friends doesn’t endear him to the elites either. Steele hasn’t endeared himself to the blue bloods, and they have fought him hard, blowing every little misstep way out of proportion, in order to scuttle his chairmanship. Another thing with Steele is he’s not camera shy. He’s a dynamic guy who doesn’t mind talking to the press and appearing on camera to advocate on the behalf of the party and Conservatism. This is in stark contrast to the previous Chairman, Mike Duncan, who no one but party members really ever saw much of. His worked under the radar. One could argue who was the better RNC head, but I think the stellar results from the 2010 elections speak for themselves. However, it seems that Steele’s time as Chairman is about to end. After reading the Tea Party Nation letter, and reflecting on what a party chair should and should not be, I came to one conclusion: Mitt Romney should be the next Chairman of the Republican national committee. Let’s face it, even with the so-called “moderates” Romney is losing ground in every poll, and his supposed appeal to these moderates is really Romney’s only selling point. Romney does have one ability though. Something he can actually do well, and that’s raise money. Romney is rightly praised for helping round up all of his buddies and reaching into their pockets to help save the Olympics in Salt Lake City, which was on the verge of collapse due to massive corruption. Romney has raised impressive amounts of money for his political action committee, by glad handing big donors and special interests. This of course is compared to others, like SarahPAC, which raised similar amounts, but all through small, private donors, in amounts of $250, or less. Romney’s ability to mingle with these high dollar contributors would work well for the RNC. He’s an establishment insider, an elite, and he speaks their language. Something else, Romney is not a high profile guy. He is obviously comfortable out of the spotlight. I say this because he has been totally silent on some of the most pressing issues of our time for the past two years. He’s not stood up and weighed in on anything of substance. One can speculate why, but for the purpose of this exercise, let’s just assume he doesn’t care for the limelight. This is a good quality for the RNC Chair to have. As stated earlier, one of the problems Michael Steele has had during his tenure at the RNC is he’s not one of the “good old boys.” He’s a bit of an outsider, and Tea Party friendly. He’s also a Conservative. Romney would have a lot easier go as Chairman. He is as insider and establishment elite as it comes. He’s not a Tea Party sort of guy, and the feeling is pretty mutual with the Tea Party. And no one is ever gonna accuse Mitt of being a Conservative! Romney is uniquely qualified to head the RNC. For all his faults, he has the one talent that could make the RNC incredibly strong, and that’s his ability to raise big money. He would have to have some help spending the money wisely, and backing the right candidates, but he can hire that talent. I know some readers may be thinking about now that this is merely a ploy to get Mitt Romney out of the 2012 race so my favored candidate has a better shot. The RNC Chair would simply not be able to run the party apparatus and run for President at the same time. At least not be able to do either successfully. I know it may look this way, but this is a sincere suggestion. Romney’s time has passed, as far as being a successful Presidential candidate. He came in third in 2008 against one of the poorest fields of candidates the GOP has even put out there. This time around the nation is looking for bold leadership from someone who isn’t afraid to stand up and be counted. Someone with a solid record of competence bundled with an uncanny knack for always making the right decisions. Sorry, but that isn’t Romney. I believe that Mitt Romney sincerely wants to do something positive for our nation, and for the Republican Party. He could be of great service to both as the head of the RNC. His strengths would help create a much stronger RNC. One that could really make a difference in 2012 and years beyond. Mitt Romney really needs to step up and take the job. It was the job he was born to have.